Staircases and other similar structures are ingeniously simple inventions that most of us make use of every single day. It’s an easy way of changing your altitude using the power of your own body. Stairs are also a hotbed for metaphors, naturally bringing to mind progress, movement, and development. 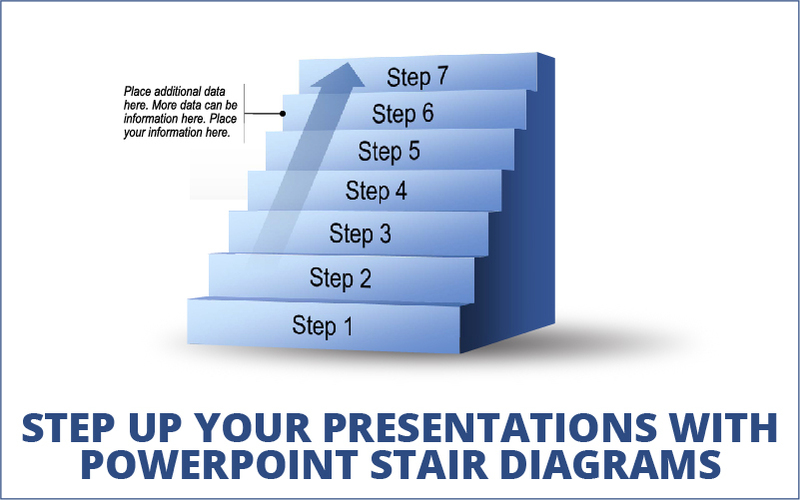 To that end, we’ve put together a handful of our favorite stair diagrams from our PowerPoint graphics library. 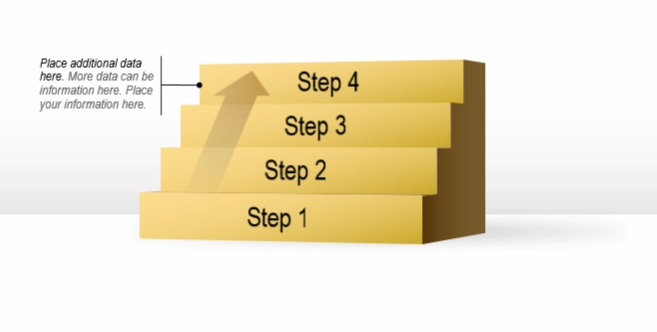 Here’s a simple 4-step staircase outlining a simple process. 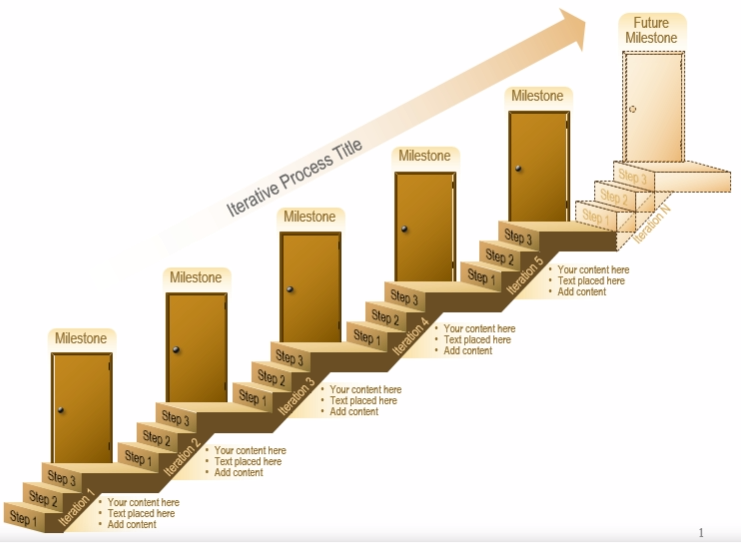 Each step on the staircase can represent a step in whatever process you choose to illustrate. For example, you might have some kind of recipe you want to display to your audience. You could replace the text on each step with Mix Ingredients, Add Seasoning, Bake, and Serve. 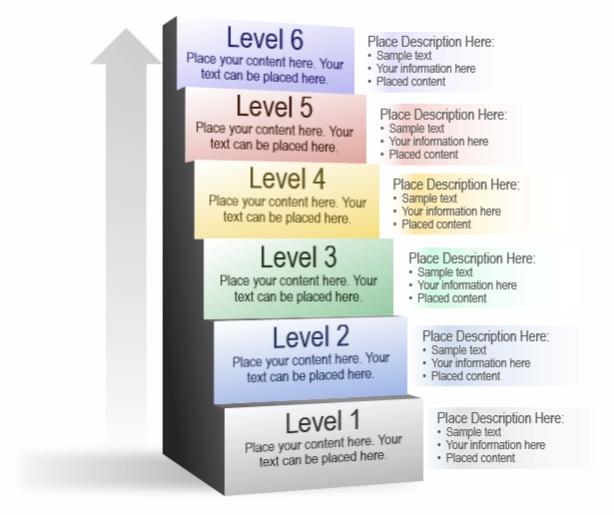 Use this diagram to show how one step progresses to the next. Sometimes a process isn’t as simple as 1, 2, 3, done, and a process might repeat for several iterations. In such cases, you would have an iterative process and steps may repeat and vary many times to achieve certain milestones. The diagram above shows a process with five completed iterations and one future iteration waiting to be taken on. On each landing of this staircase is a door, representing milestones to reach along the way to indicate progress. 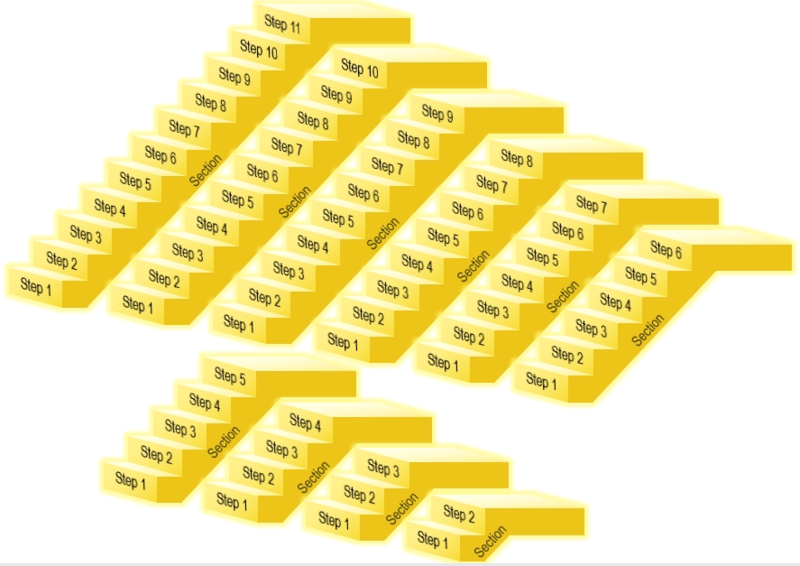 Iterative processes can be more complex than 3 steps for every section. In those cases, we have a handful of graphic packs that you can mix and match to create your own unique staircase to illustrate complex processes. Simply copy and past the shapes and move them around until you get something resembling your process. We also have door graphics if you need to include your own milestones along the way. You can find these and other dynamic graphics in our PowerPoint graphics library. Check them out today to bring your graphics game to the next level.